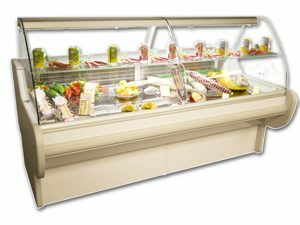 ASTRELLA Slimline 2 Shelf Refrigerated Serveover Counter Model AST170 The Astrella 2 Shelf Refrigerated Serveover counter by ES SYSTEM K is an excellent all round display cabinet, ideal for Sandwich Bars, Canteens, Deli’s, it has a refrigerated understorage with stainless steel interior, Mirror finish Stainless Steel display surface and a stunning granite rear work shelf. 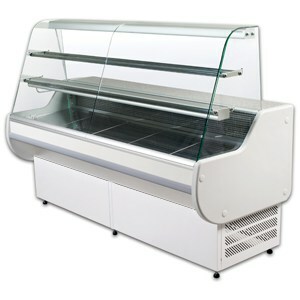 It also features 2 glass ambient intermediate shelves. 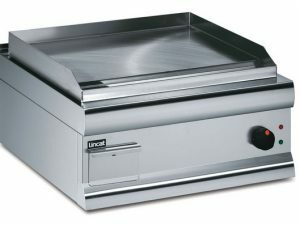 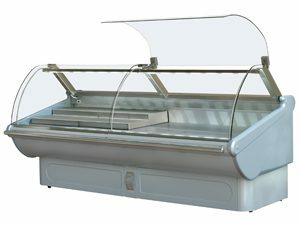 The front glass of the serveover is curved to give an impressive finish. 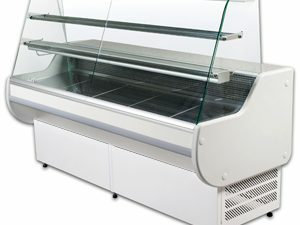 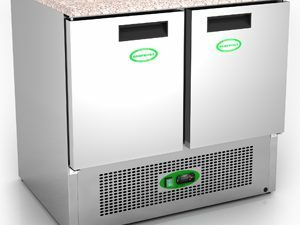 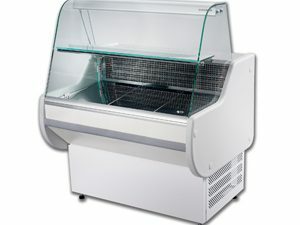 Temperature Range +1/10C Electronic Controller Granite Worktop Rear Perspex Covers Refrigerated Understorage S/Steel Understorage & Display Deck Two Intermediate Shelves Automatic Defrosting R404A Refrigerant Multiplexing Requires Kit Dimensions: 1705 w x 826 d x 1380 mm high. 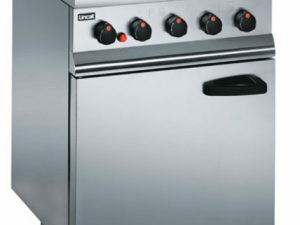 Warranty:2 years parts and 12 months labour warranty.